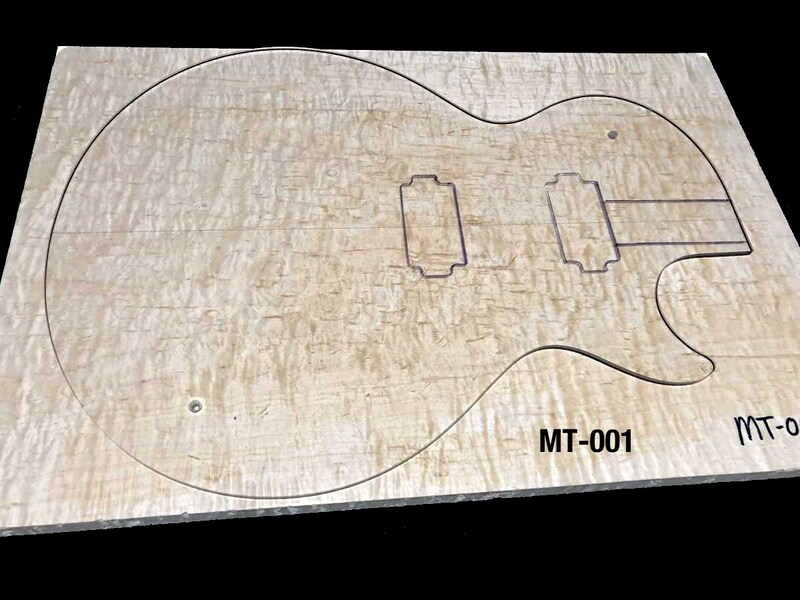 I will build your custom Corsa guitar, using the top shown on the left, in your chosen model. Select all your build options below. I will keep you updated on the progress of the build and send photos at key build points. Current production slots have up to a 60 day lead time after the order is placed, with a goal of an estimated 120 days to completion. 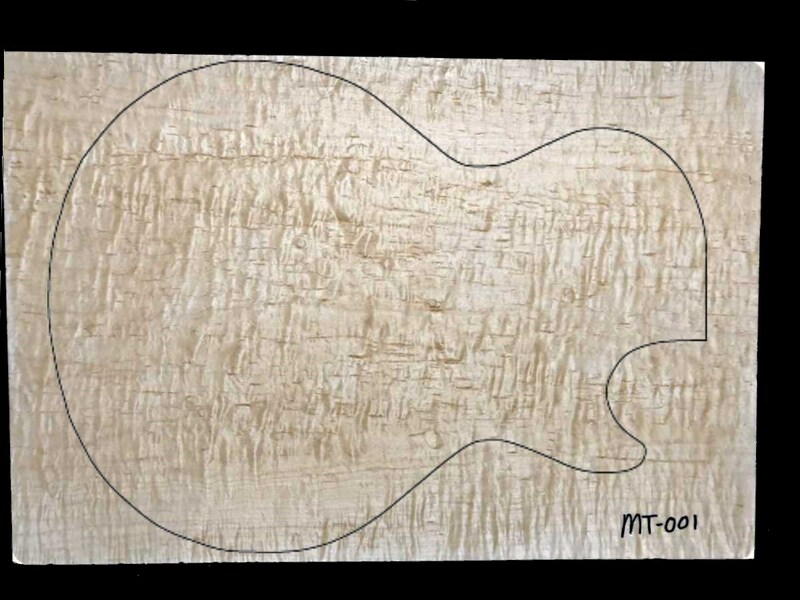 Choose all options and give examples of finished guitars from the galleries you would like to be used as a guide for color, depth of burst color, burst coverage, etc., in the "Order Notes" section at bottom of this form. Custom Corsa TKL case included with all custom orders. For best tone and weight, chambering is recommended. Jescar 45100 standard, stainless Jescar 47104S optional- If other frets are desired, select "Other" and make a note in the Order Notes box at the end of this form. An upcharge may be incurred. 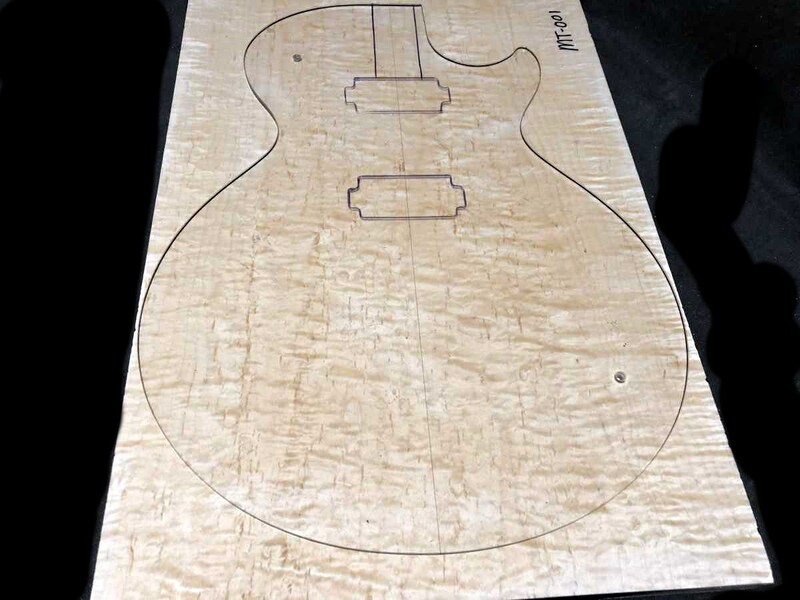 Please read the Care of Finish document for a description of the available finishes. Color of pickup selector ring, control knobs (gold if cream plastic/black if black plastic), pickup rings, PG90 pickup cover(s) (if fitted), and jack plate. Humbucking pickups are either Original Manalishi (when no push-pull is selected for coil splitting) or Manalishi SplitBucker. P90 routing uses Manalishi PG90 pickup(s). Single humbucker routing uses either an Original Manalishi (when no push-pull is selected for coil splitting) or Manalishi SplitBucker. 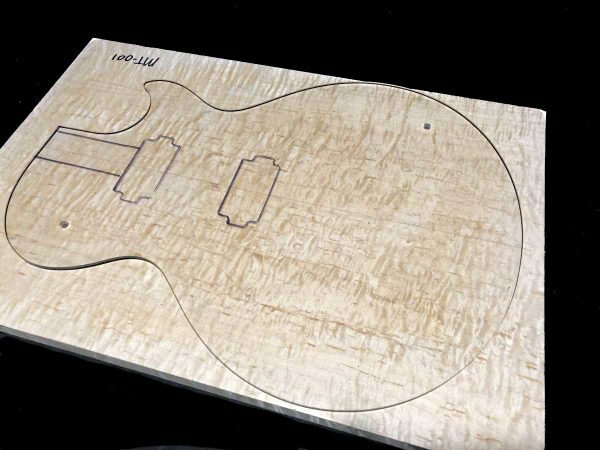 P90 routing uses Manalishi "Dog Ear" PG90 pickup, with cover. Four "Vintage Taper" short shaft 500K pots are standard. Ordering optional push-pull pots will reduce the number of "Vintage Taper" pots (i.e., adding a single push-pull for phase changing will use three "Vintage Taper" pots and one 500K push-pull pot). Single Push-Pull option for coil splitting splits both pickups at the same time. "Mass.Effect" Tone System includes four push-pull pots and Manalishi "SplitBucker" pickups. Four CTS short shaft 500K pots are standard. Ordering optional push-pull pots will reduce the number of CTS pots (i.e., adding a single push-pull for phase changing will use three CTS pots and one 500K push-pull pot). Single Push-Pull option for coil splitting splits both pickups at the same time. "Mass.Effect" Tone System includes four push-pull pots and Manalishi "SplitBucker" pickups. If ordering any control pot option that uses a Push-Pull pot for phase changing, choose phase with the push-pull pot in the DOWN position. For example, if you want the guitar to be out of phase in the middle position with the push-pull pot down, choose "Out of Phase" here. "In Phase" if you want to pull up the pot to go "out of phase." PG90 pickups always covered. Select only for humbuckers. For combination PG90/Humbucker routing, select single humbucker cover, if desired. Standard orientation is "Peter Green Style," with the neck humbucking pickup (if fitted) rotated in the mounting ring with the pole pieces facing the bridge. Note that this is a cosmetic feature only and has no bearing on pickup phase. Wraparound bridge, or stop tail with separate bridge. "ABR-1" style 6-32 bridge posts and Faber ABRH bridge standard with stop tail and separate bridge option. Foil Top knobs are recommended when using push-pull pots. Dunlop Strap-Lok will add approximately 1 ounce to finished weight. Strap hardware (nickel non-aged) included with Strap-Lok. 10-46 standard on Manalishi & Pure Player. "LC Special" 9-12-16-26-36-46 recommended with Wraparound bridge due to shorter (tighter) string length when using a wraparound. Corsa T-Shirt with your guitar at 40% off the regular price. 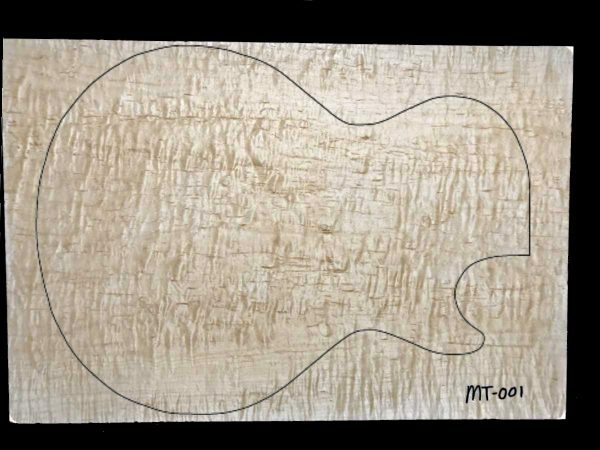 Add here serial number(s) of gallery guitars to use as a guide for top color. Add any additional comments related to the order, or special requests.